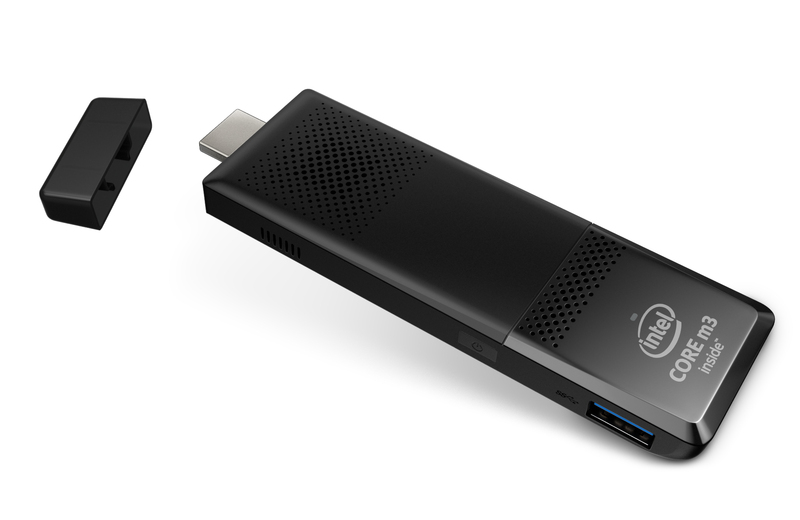 The new Intel® Compute Stick based on 6th Gen Intel® Core™ M.
Building on the success of the Intel® Compute Stick introduced last year, at CES 2016 Intel unveiled new Compute Sticks based on 6th Gen Intel® Core™ M and the latest quad-core Intel® Atom™ processors. A tiny device about the size of a pack of gum, the Intel Compute Stick can transform any HDMI TV or display into a complete computer and improves upon the first generation in processing and graphics performance, Wi-Fi and Bluetooth connectivity, and additional USB ports. Both devices will be available in Q1 2016. Read the Intel® Compute Stick fact sheet for more information.